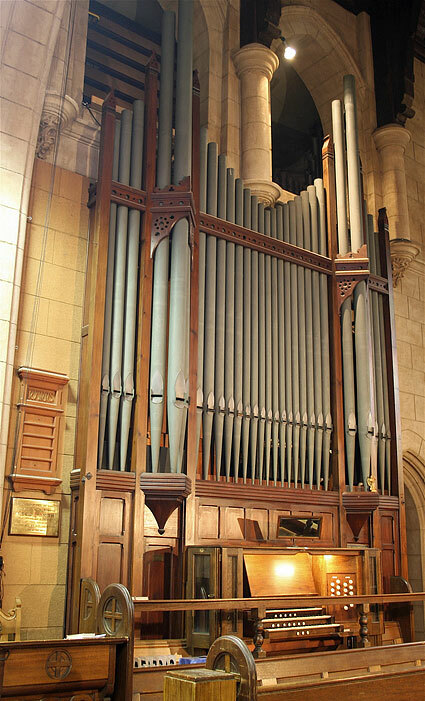 First organ, see: Payneham. 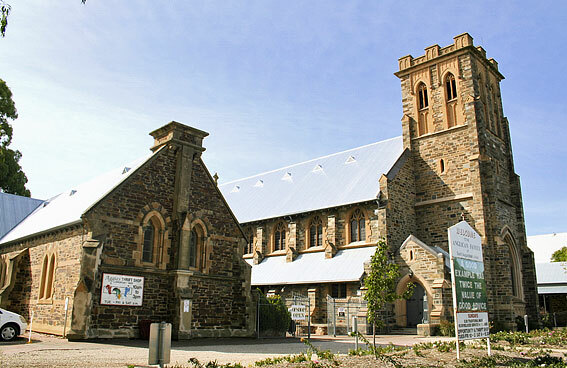 St Aidan's Anglican Church. reb & inst 1931 Hill Norman & Beard. 3m, 29spst, 9c, el.pn. Gt: 16.8.8.8.4.4.2-2/3.2.III.8. Sw: 16.8.8.4.2.III.8.8.4. Ch: 8.8.8.4.4.2.8. Ped: 16.16.8. 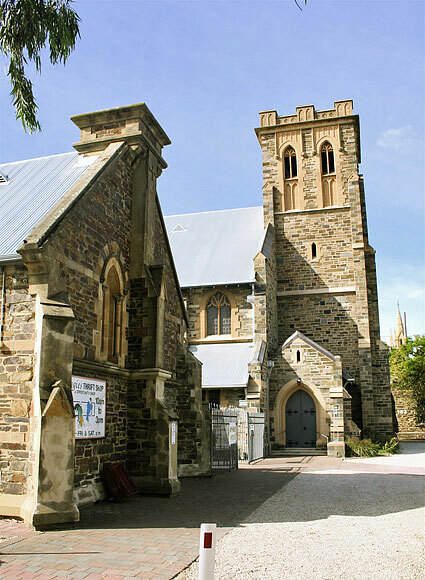 St Augustine’s Anglican Church has had two pipe organs. 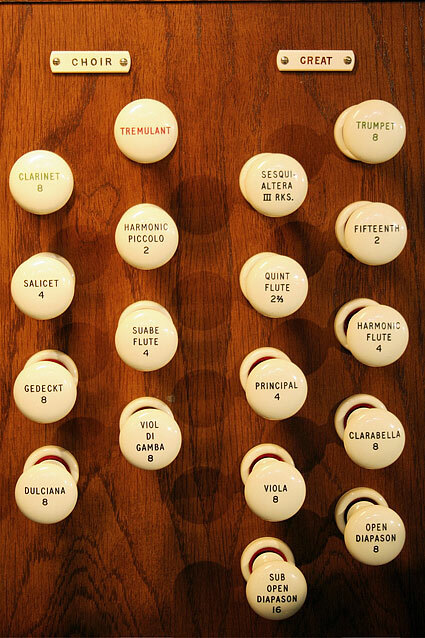 The first pipe organ has an intriguing history. 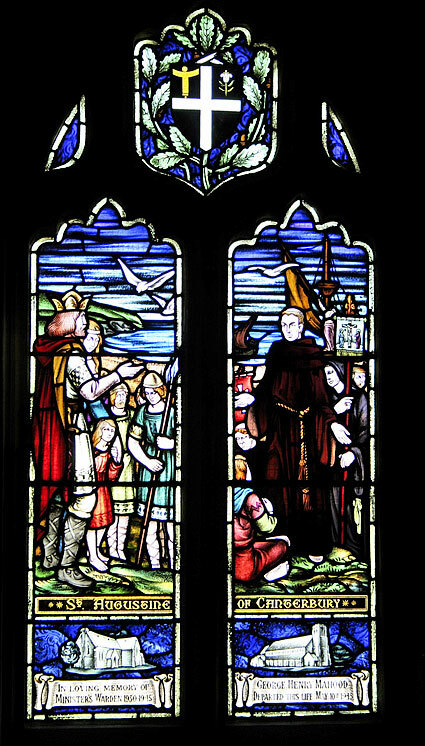 Coming from St John’s, Halifax Street, it was placed in the old church in the northern apse of what is now the opportunity shop of St Augustine’s. The organ was transferred to the new church in 1924. 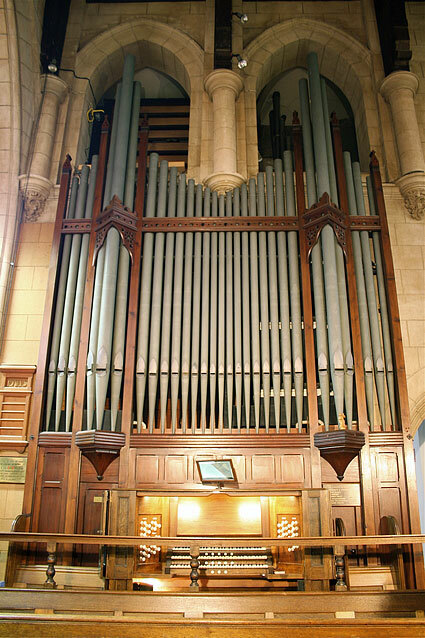 The second organ came from St Peter’s Cathedral. 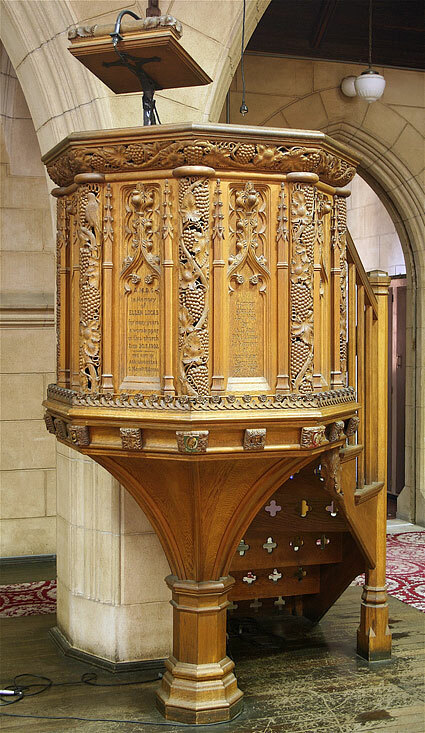 After 50 years the Bishop & Son organ of 1877 was replaced, removed, reconstructed, and relocated to St Augustine’s. It was dedicated in March 1931. 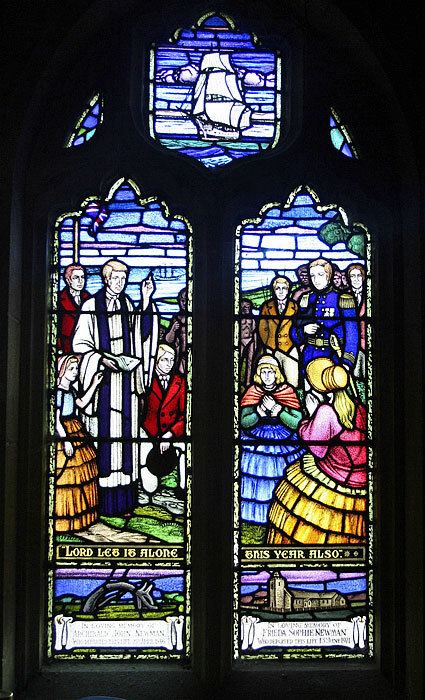 The first instrument made its way to St Aidan’s Anglican Church at Marden. The congregation continued to grow and a new church required. 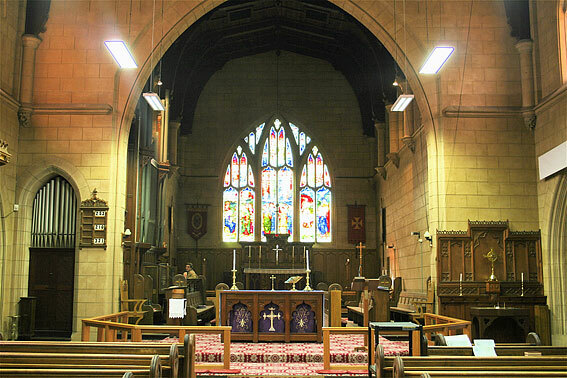 The current church was dedicated on 28 August 1924 and, presumably, the organ relocated. 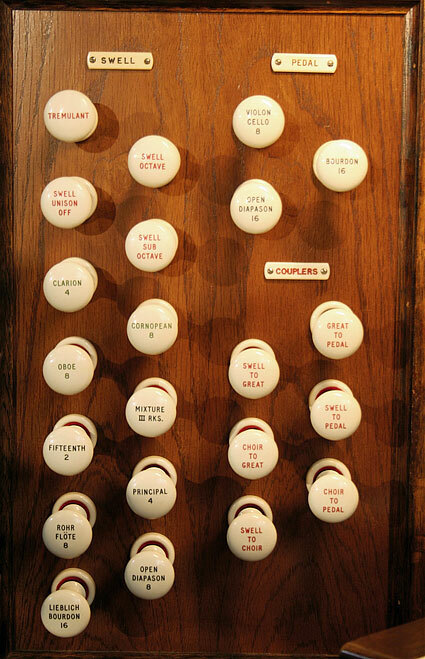 The organist for the occasion was Arthur Bushell who concluded the service by playing the Hallelujah Chorus.6 The wish for an organ “worthy of their church” was to be realised six years later when improvements at the Cathedral saw the Bishop organ of 1877 replaced and become redundant. 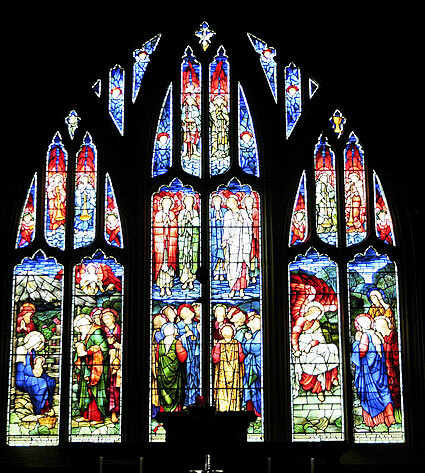 The organ was dedicated on 27 March 1931 by the Rt Revd Dr Arthur Nutter Thomas, Bishop of Adelaide; a shortened evensong following the service. The organist, C.J. Hewitt, played Pastorale by W.T. Best, and the Fantasia and Fugue in G Minor of Bach. The organ had been reconstructed and modernised. 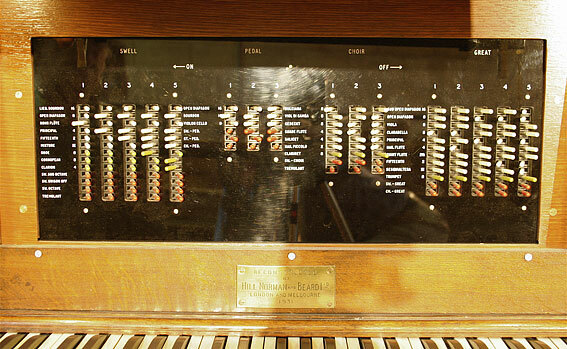 The former tracker action was replaced with electro-pneumatic control and balanced swell pedals were provided to the swell and choir divisions. The console became electrically operated throughout.7 The work had been done by Hill Norman & Beard at a cost of £1500 Sterling. 1 Hilliard D Godliness and God Order 1986 p.53. The other church was St Bede’s Semaphore, 1879. 7 Advertiser, 27 March 1931, p.14.7; see also pamphlet St Augustine’s Diamond Jubilee Souvenir 1870-1930. 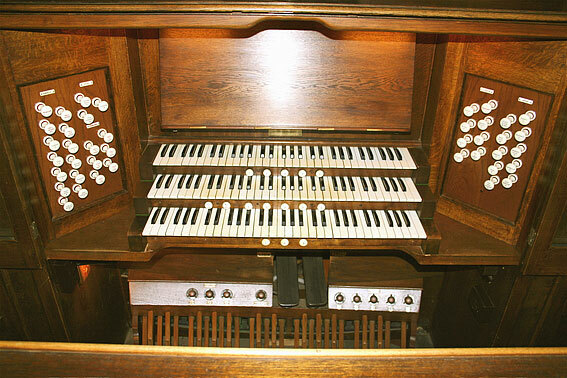 A full two-page description and photograph of the new organ was given, but no history of the previous instrument.